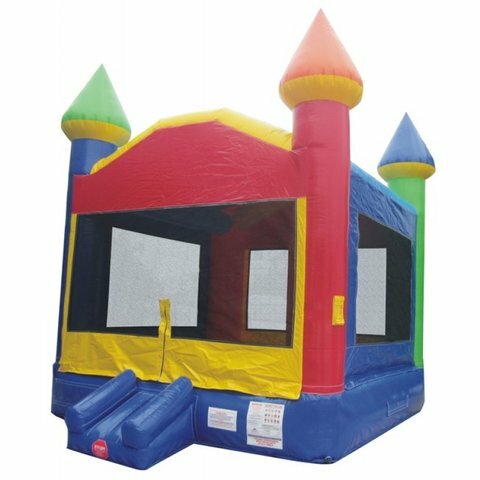 Jump in this bright and cheerful Large FunTime Castle Jumper. With the primary colors, this makes it perfect for a co-ed event. Great for church, school, corporate or any backyard party. Large netted windows on all sides adds safety and security for the riders.